The hoarding of portfolios cuts across party lines, with the top 5 including chief ministers from BJP, Congress and Left. At No.1 is UP's Yogi Adityanath with 35 portfolios. New Delhi: In the Narendra Modi establishment, there has been much discussion about the consolidation of power in the Prime Minister’s Office. However, a look at India’s states reveals that this is far from uncommon. 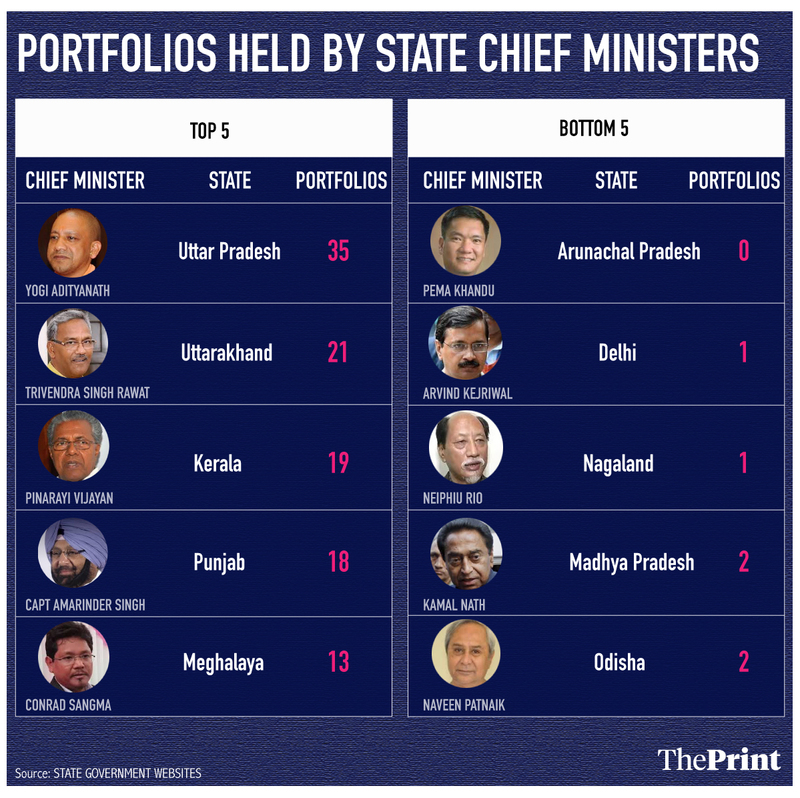 At least one-third of chief ministers across the country hold nine or more portfolios, though this trend often goes unnoticed. Uttar Pradesh CM Yogi Adityanath, for example, holds a staggering 35 portfolios, while his Uttarakhand counterpart Trivendra Singh Rawat holds 22. And it’s not as though this is a BJP-only trend: Pinarayi Vijayan of the Left Democratic Front government in Kerala holds 19 portfolios, while the Congress’ Captain Amarinder Singh in Punjab holds 18. To be sure, Article 164(1A) of the Constitution provides that the size of the council of ministers, including the chief minister, shall not exceed 15 per cent of the strength of the state legislative assembly but shall not be less than 12. This, some political observers say, often compels chief ministers to retain marginal portfolios with themselves. ThePrint analyses this consolidation of power on the basis of portfolio allocation listed on the state government websites as of 1 March 2019. The data also includes the last Jammu and Kashmir cabinet headed by Mehbooba Mufti, which fell out of power in June last year. The all-India average for chief ministers’ portfolios is eight, but the CMs of 10 states hold more than that number — Gujarat, Rajasthan, Kerala, Tamil Nadu, Karnataka, UP, Punjab, Assam, Meghalaya and Uttarakhand. At the other extreme stands Arunachal Pradesh CM Pema Khandu, with zero additional portfolios. The chief ministers of Delhi and Nagaland hold one additional portfolio each, while those in Madhya Pradesh and Odisha hold two each, and the ones in Jharkhand and Andhra Pradesh hold three each. 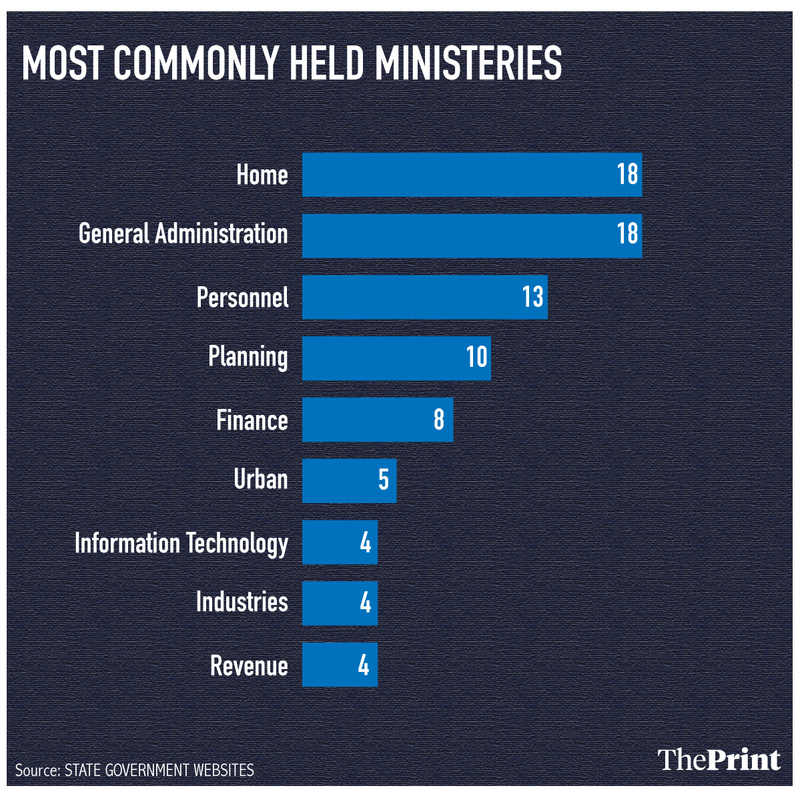 The home and general administration departments seem to be a big hit among chief ministers — they are both held by 18 CMs each. Thirteen CMs also hold the personnel department, while 10 CMs run the planning department. Eight hold the state finance ministry, while five hold the urban development portfolio. Information technology, industries, and revenue are held by four CMs each. Even in states where CMs don’t hold a large number of additional portfolios, they hold at least one of the key portfolios mentioned above —Nagaland’s Neiphiu Rio being a prime example, since his lone additional portfolio is the Department of Personnel and Administrative Reforms. Does the size of the state matter? An obvious question is whether CMs of the bigger states hold more additional portfolios than the national average. For the purpose of this analysis, the states considered ‘big’ are India’s 10 most populous states. The answer is yes — the chief ministers of the 10 biggest states hold 9.8 additional portfolios, about two more than the national average. 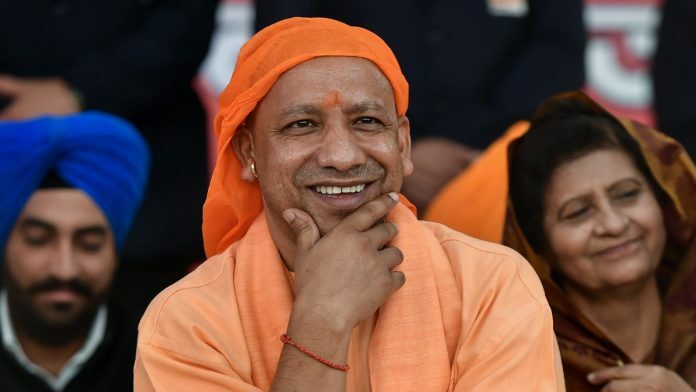 It’s interesting to note that while UP CM Adityanath’s 35 portfolios may seem like a lot, his predecessor, Akhilesh Yadav of the Samajwadi Party, at one point held 61 additional portfolios. Ditto for Uttarakhand’s Rawat, whose predecessor, Harish Rawat of the Congress, held 31 portfolios. An example of this is the fact that Adityanath holds obscure portfolios like rent control and national integration. Mittal also explained why the personnel department is seemingly so important to CMs. “They need to hold the personnel department to manage all administrative postings at the senior level,” he said. Meanwhile, Nitin Pai, co-founder and director of the Takshashila Institute, a think tank and public policy school, criticised the way state governments are functioning. “The constitutional machinery is not functioning in the states as intended. In almost every state, we have a highly personalised, presidential kind of government. Chief ministers, usually unchallenged party leaders, hoard a massive amount of power in their person and their office,” Pai said.